Need a reason to attend this year's Twin Cities Winter Jazz Fest on March 2? Try five: music, food, location, location, location. The 16th-annual Winter Jazz Fest will be held at the brand new, state-of-the-art MacPhail Center for Music in downtown Minneapolis. It's an opportunity for MacPhail to strut its stuff and for festival director Steve Heckler to breathe easy, or at least a bit easier. The new venue was literally made for music, all of the events will be under one roof, and there's plenty of parking at nearby ramps. It's a fresh start for an event that has occupied many homes and faced many challenges. The festival began at the old Dakota Jazz Club at Bandana Square in St. Paul, moved to the Millennium Hotel in Minneapolis (where there were parking issues) and then to the Doubletree west of the city (plenty of parking but turnout was poor). In 2007, it was held in a heated tent in Landmark Plaza in downtown St. Paul. When plumbing in the tent failed, the festival fizzled. No such problems are anticipated this year, and the lineup offers something for everyone who enjoys jazz. From noon until 8 p.m., members of the Jazz Vocalists of Minnesota will perform on the Atrium Stage just inside MacPhail's doors. Area singers including Dorothy Doring, Rhonda Laurie, Lucia Newell, Vicky Mountain and Tommy Bruce will be backed by fine musicians including pianist Phil Aaron, bassist Graydon Peterson and drummer Michael Pilhofer. Big-band fans can head to the exquisite Antonello Performance Hall at 1 p.m. for Southern Minnesota's Real Big Band and at 2:30 p.m. for the Bellagala Big Band. MinnPost asked Jerry Swanberg, host of KBEM's "Big Band Scene," to tell us more about these bands. "Southern Minnesota's Real Big Band is mostly music educators from southeast Minnesota," Swanberg said. "They're very good. ... Bellagala plays a lot of weddings, dances, and private parties. The band is loaded with some of the top pros in town — Larry Foyin, who worked with Maynard Ferguson and Ray Charles; Dave Graf; Jeff Rinear, director of jazz studies at the University of St. Thomas; Doug Haining; Jim Ten Bensel." The Upper Stage on MacPhail's sixth floor will host three wildly diverse groups. At 1 p.m., it's the horn-driven bop quintet Snowblind. The group's second CD, "Taking Shape," was released in 2007 to critical acclaim. Listen to tracks here. At 3 p.m., the mood shifts to the traditional New Orleans jazz sounds of the Southside Aces. Formed in a foyer in South Minneapolis in 2003, this six-man band was the brainchild of clarinetist Tony Balluff and sousaphone player Erik Jacobson. Hear tracks from their 2006 release, "Bucktown Bounce," here. Starting at 5 p.m., Chris Thomson's Bells + Whistles takes the Upper Stage. My most recent Thomson sighting was at the Guthrie's sold-out "Warm Beer, Cold Women." Bells + Whistles is Thomson on saxophone, Bryan Nichols on piano, Adam Linz on bass and Alden Ikeda on drums. A sure thing. Sample tracks from Thomson's latest one-man CD, "The Three Elements," are here. 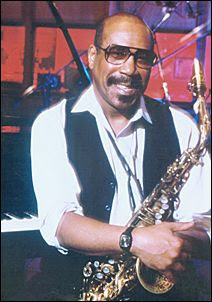 Beginning at noon, you can hear future jazz greats perform on two Youth/Clinic stages led by MacPhail faculty members. Watch for the Dakota Combo, six high-school musicians chosen by audition and directed by jazz artist Kelly Rossum. Last December, they played to a full house at the Dakota with guest Delfeayo Marsalis. Every jazz festival worth its salt peanuts (as Dizzy Gillespie might have said) has a big-name headliner, and the Winter Jazz Fest is no exception. Saxophonist Sonny Fortune is scheduled for two sets in the Antonello, at 5 p.m. and 7 p.m. Fortune has played and recorded with some of the biggest names in jazz: Gillespie, Miles Davis, McCoy Tyner, Buddy Rich. He's bringing his own trio. Expect great things. From noon to 8:30 p.m. is a long day, and you will get hungry. Don't think you'll have to leave MacPhail to find food. KBEM's Kevin Barnes has cultivated relationships with top chefs over several years of monthly RestauranTours benefiting the radio station. Two of his favorites, Rachel Rubin (Bobino, Chino Latino) and Scott Pampuch (Corner Table), are collaborating to provide an array of local food creations. Beer and wine will be available. Heckler promises raffles and prizes including Caribou Coffee, Caribou cards and CDs. Caribou is sponsoring the main stage for the Twin Cities Jazz Festival to be held this summer from June 20-29. The Winter Jazz Fest is a fund-raiser for the summer event, and Heckler gave MinnPost a few hints about what to expect then. The entire lineup is not yet booked, but these artists are in the mix: organist Joey De Francesco, Latin sensation Jerry Gonzalez and the Fort Apache Band, New Orleans singer Charmaine Neville. You might want to make a note on your calendar now. How much: $25 including Sonny Fortune; $15 day pass (no Sonny Fortune). Tickets at Ticketworks and at the door. Irvin Mayfield & the New Orleans Jazz Orchestra: I first heard trumpeter Irvin Mayfield play with Los Hombres Calientes, a group that may not have survived Katrina. He brings his 16-piece orchestra and the sounds of authentic New Orleans jazz to Minneapolis, a city that welcomes NOLA musicians with open arms. He'll play the Elysian Trumpet, a work of art commissioned to honor his father, who was killed in the storm. Orchestra Hall, 8 p.m. Friday, Feb. 22 ($21–$40). Kelly Rossum Quartet: Trumpeter, composer and coordinator of MacPhail's jazz program, Rossum has his own distinct sound; you never know where he'll go, but you're glad for the ride. He's joined by pianist Bryan Nichols and the fabulous Bates brothers, Chris on bass and J.T. on drums. The Artists' Quarter, 9 p.m. Friday, Feb. 22 and Saturday, Feb. 23 ($10). Jim Ryan and Forward Energy: Free jazz, spoken word, and saxophonist Ryan's watercolors and monotype prints. Ryan describes his performances as "sounds you have not yet heard." Playing alongside the St. Paul native will be Dan Godston on trumpet, Joel Wanek on bass, Steve Hirsh on drums and Alicia Mangan on tenor sax. Get a taste here. Center for Independent Artists, 7:30 p.m. Sunday, Feb. 24 ($8).